HAHAHA. I can’t …. literally can’t. That Mortal Kombat reference HAHA! How can someone be so ridiculously hysterical and awesome all at the same time?! What I absolutely adore about iiSuperwomanii is how cleverly and honestly she platforms her wacky thoughts which is universally accepting. Oh man… tears streaming down my face still. Drop me a line and let me know what you lovelies think! 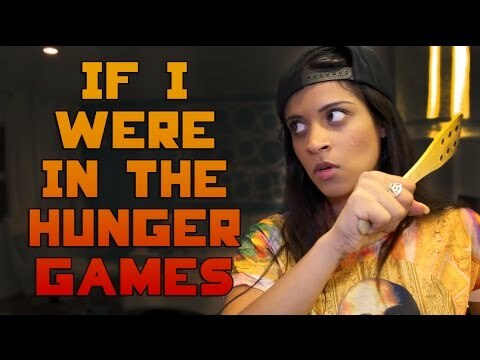 This entry was posted in In My Shoes and tagged Blogging 101, Hollywood, Hunger Games, iiSuperwomanii, Sonam Naidu Creative, Survival Guide, Throwback, Youtuber. Bookmark the permalink.